*ACCIDENT FREE CAR FAX*, **ONE OWNER**, **BALANCE OF FACTORY WARRANTY **, ***BLUETOOTH***, black Cloth. About Us: Howard Palmen's sons, Ron and Roger, took over the business in 1970, and acquired the Dodge franchise. In the late 1980's, the business moved to a new, state-of-the-art dealership in the western part of Kenosha. Today the family tradition continues as Ron's son, Andrew, continues to move the business forward with the addition of a Kia franchise (1998) in Kenosha, a Dodge Jeep dealership (2001) in Racine, Wisconsin, and a Buick GMC Cadillac dealership (2010) in Kenosha, Wisconsin. All along, the group has stayed focused on high levels of customer satisfaction, being a sales volume leader and maintaining a well-trained staff of professionals. *ACCIDENT FREE CAR FAX*, **ONE OWNER**, **BALANCE OF FACTORY WARRANTY **, ***BLUETOOTH***, ***BACK-UP CAMERA***, black Cloth. *ACCIDENT FREE CAR FAX*, **ONE OWNER**, **BALANCE OF FACTORY WARRANTY **, **LOCAL TRADE**, black Leather. 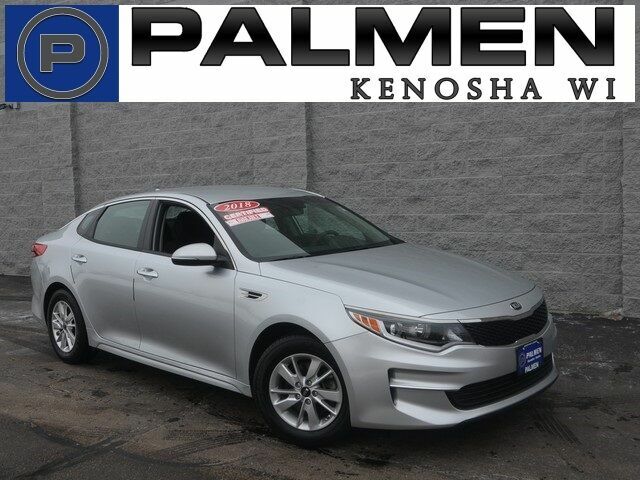 At Palmen Kia we want you to find the perfect vehicle, and we'll work hard to make sure you do. Simply tell us what you're looking for and when it's available you'll be the first to know! By submitting this form, you agree to be contacted by Palmen Kia with information regarding the vehicle you are searching for.